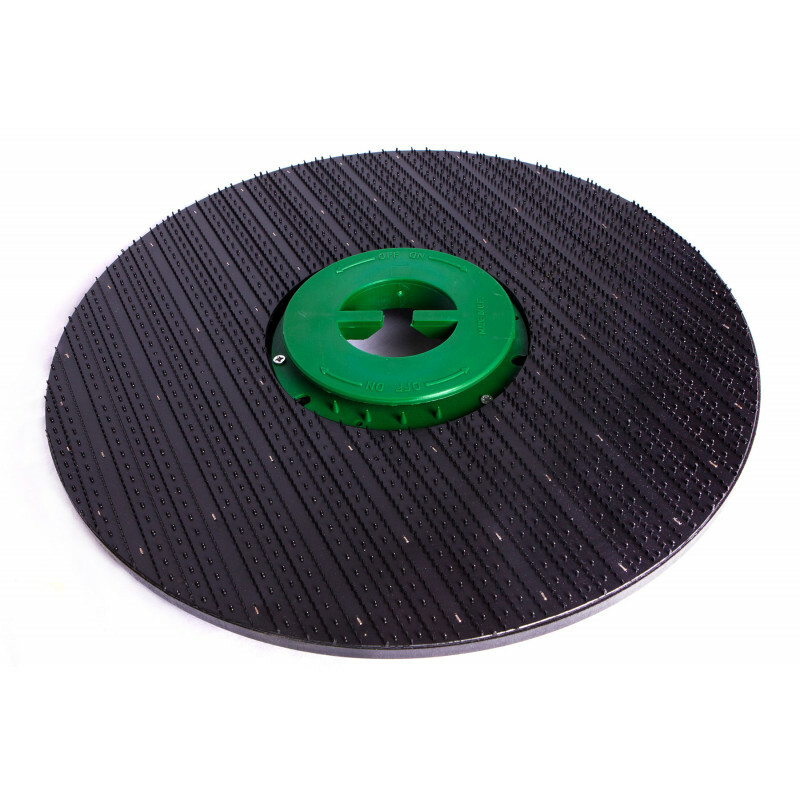 Need a replacement pad driver or holder for your Tornado® BD 17/6 or BD 33/30automatic floor scrubber? This listing is for a single pad driver, but there are 2 (two) 17" pad drivers that are required for the BD 33/30 machine. the green center locking device keeps your pads in place while scrubbing & stripping. This pad driver can also be used with the discontinued Tornado BD 32/26 auto scrubber. For additional options, don't forget to check out our complete line of floor scrubber accessories including floor care solutions, autoscrubber brushes, floor scrubber pads and much more.